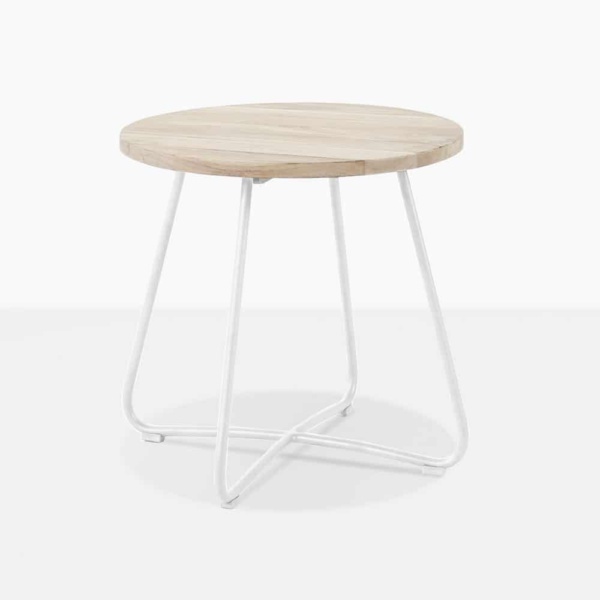 The East side table in White, has a round driftwood style teak top placed upon a strong white powder-coated aluminum base. This accent table is perfect for any space and any style. 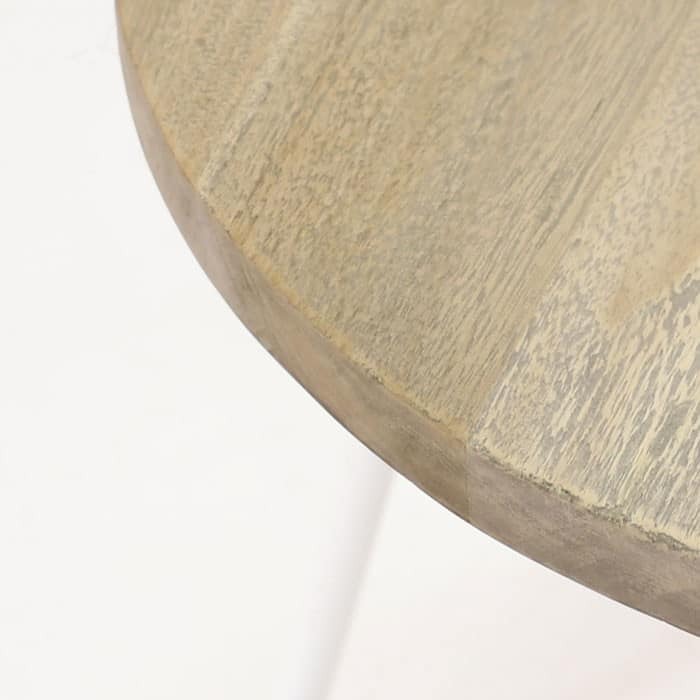 The warmth of the table-top can compliment wicker furniture as well as teak. 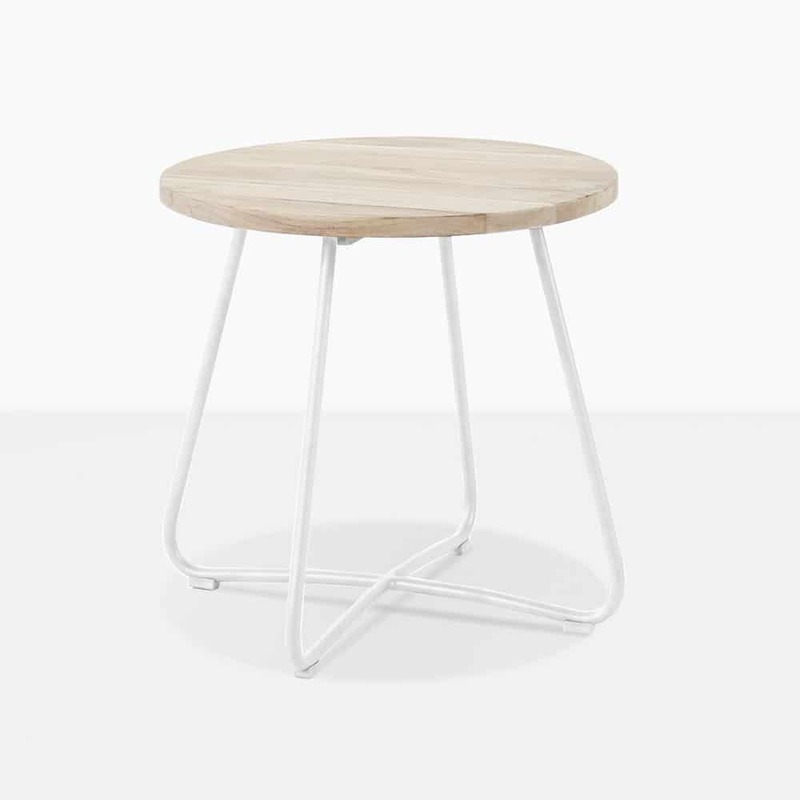 The modern legs are subtle and sleek. 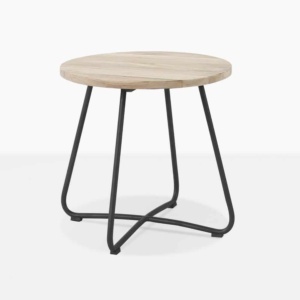 This accent table is light and easy to move around so that you can be sure your guests always have a place to put their drinks.